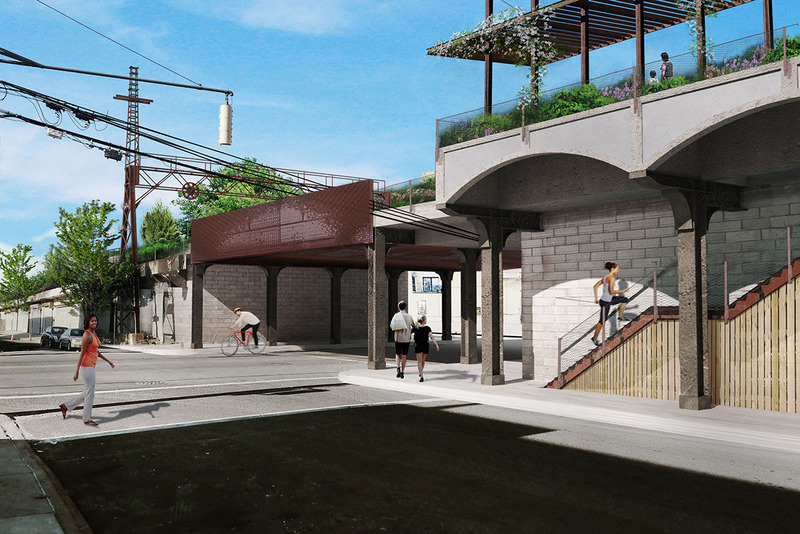 The QueensWay is a community-led effort to transform a 3.5-mile stretch of abandoned railway in Central Queens, New York, into a linear park and cultural greenway. 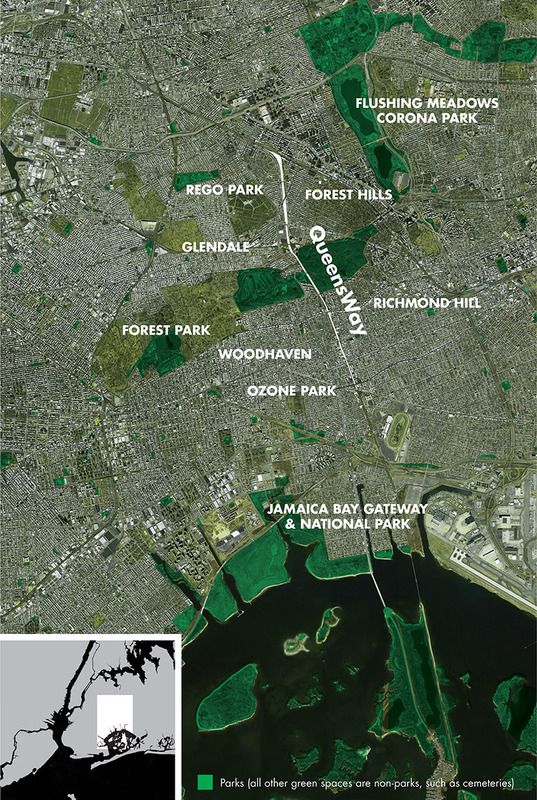 When completed, the QueensWay will be a new kind of neighborhood park that will safely link to and enhance Forest Park. 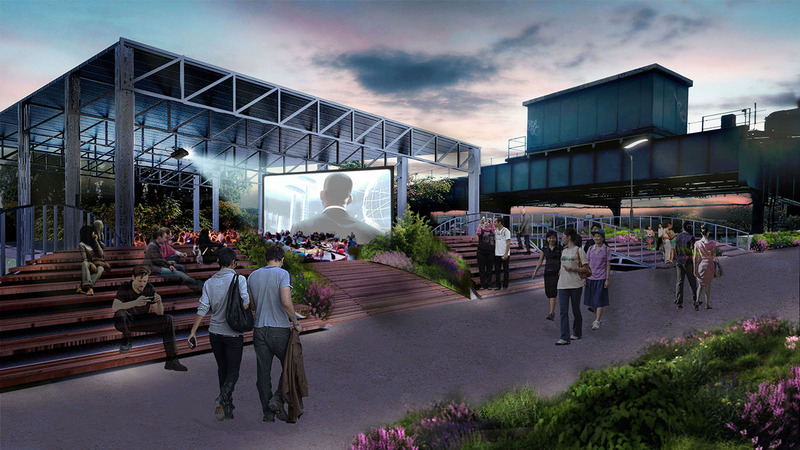 The park will be a showcase for Queens through cultural events and opportunities for local businesses. 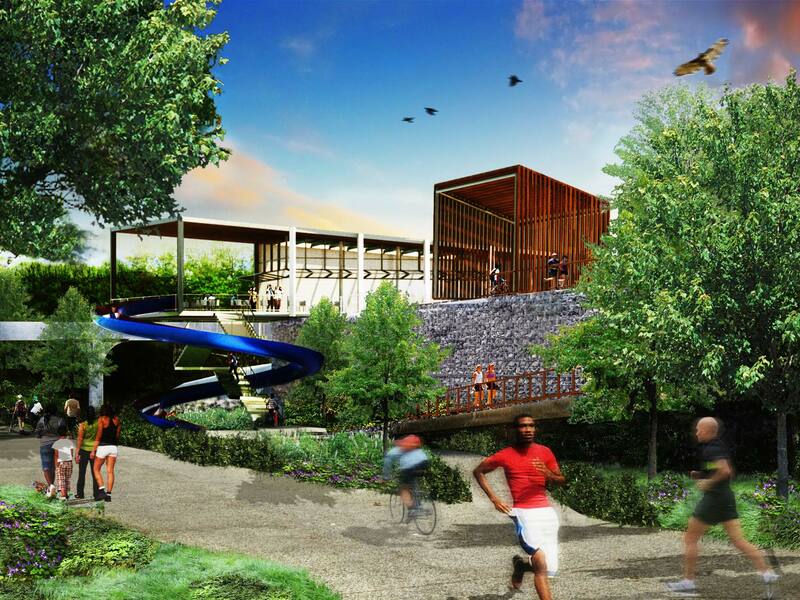 It will also provide a way to connect children with nature, create much-needed new play spaces, and offer the restoration of healthy and productive ecological systems. 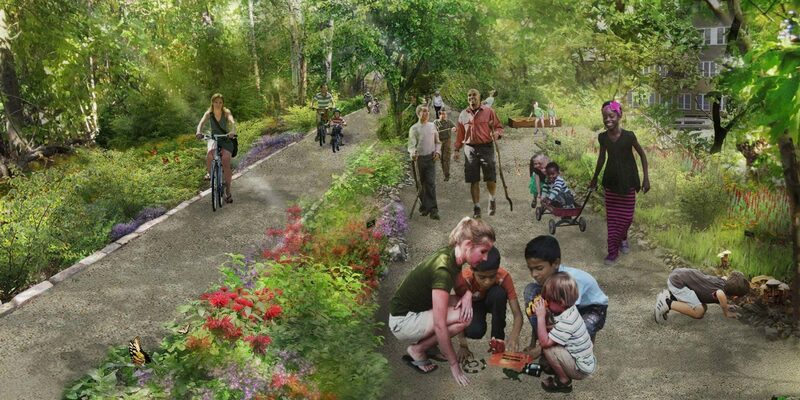 Plans include a path for safe walking and biking, and 47 acres of new open space for neighborhoods that are severely underserved by parks. 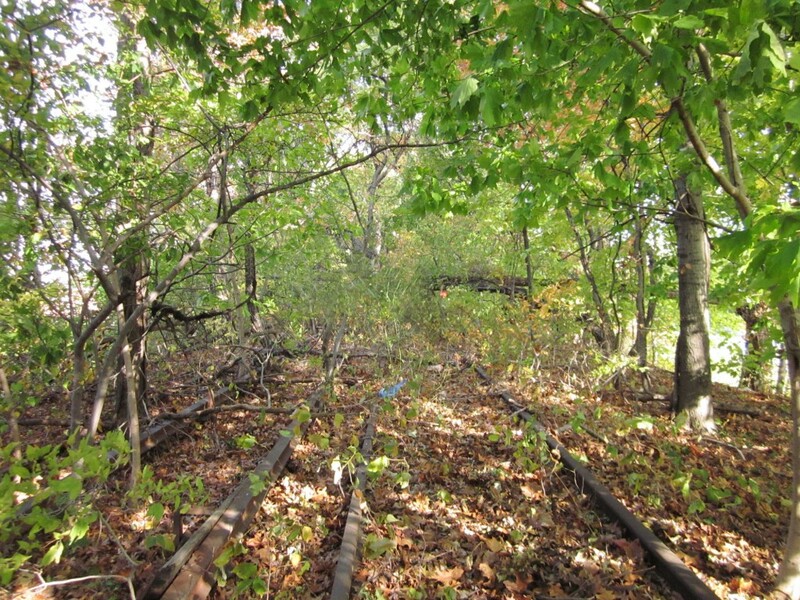 Through an after school program, high school students are studying the trees and wildlife on the abandoned Rockaway Beach Rail Line. 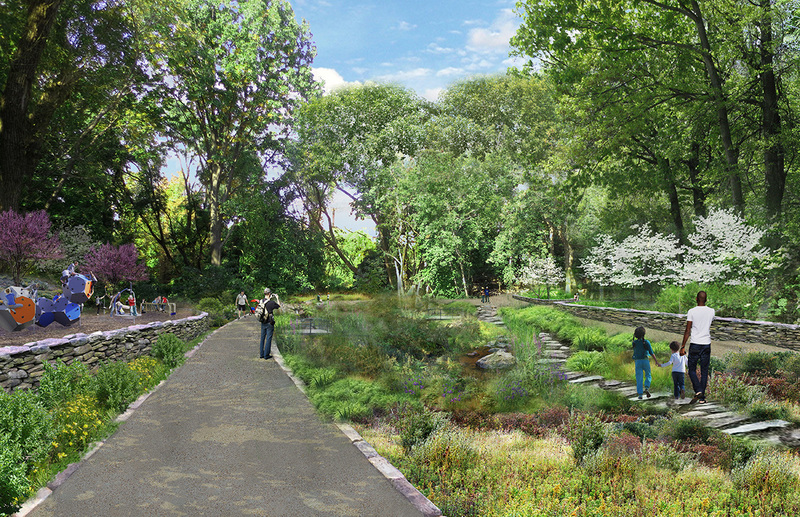 Their findings may help inform the landscape design for the proposed park. 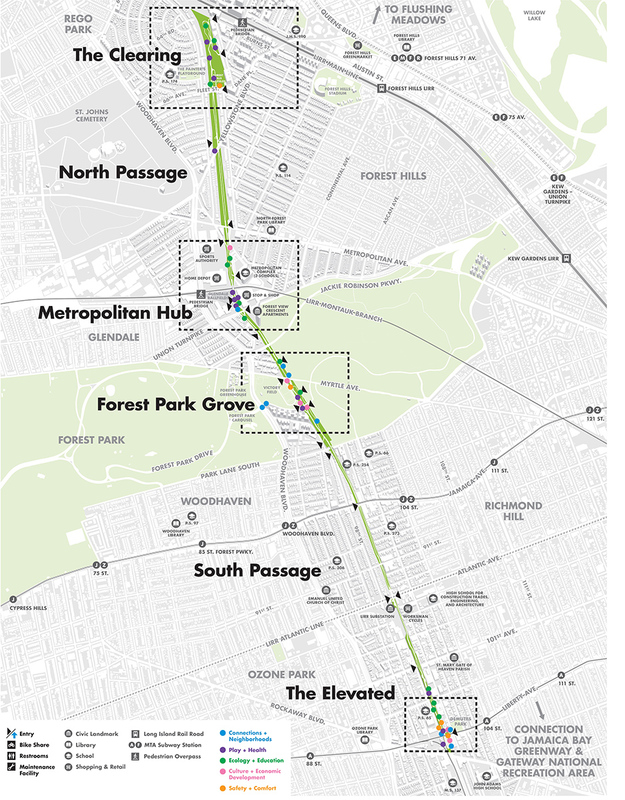 QueensWay’s first phase open by 2020? The grand opening of the QueensWay’s first phase could come as soon as 2020.